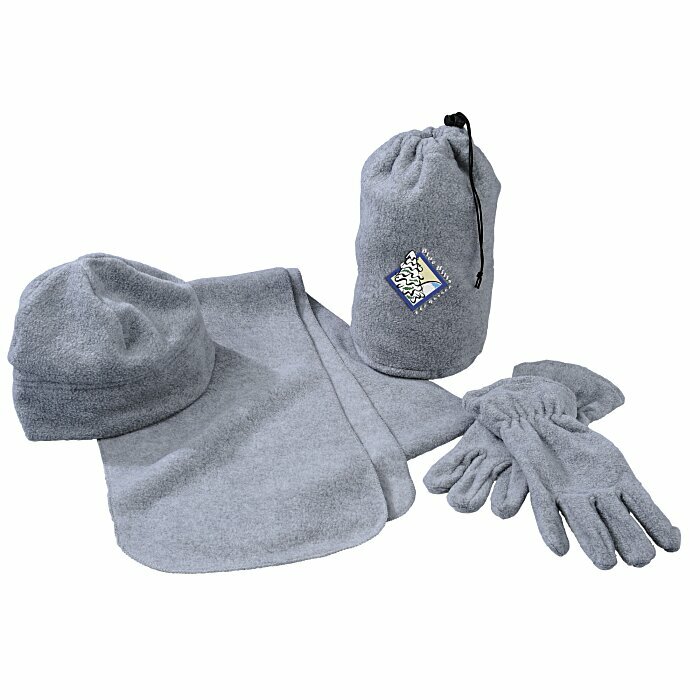 They’ll snuggle up to your business with this comfy winter accessory set! This brushed polyester fleece set feels so cozy on a winter day! 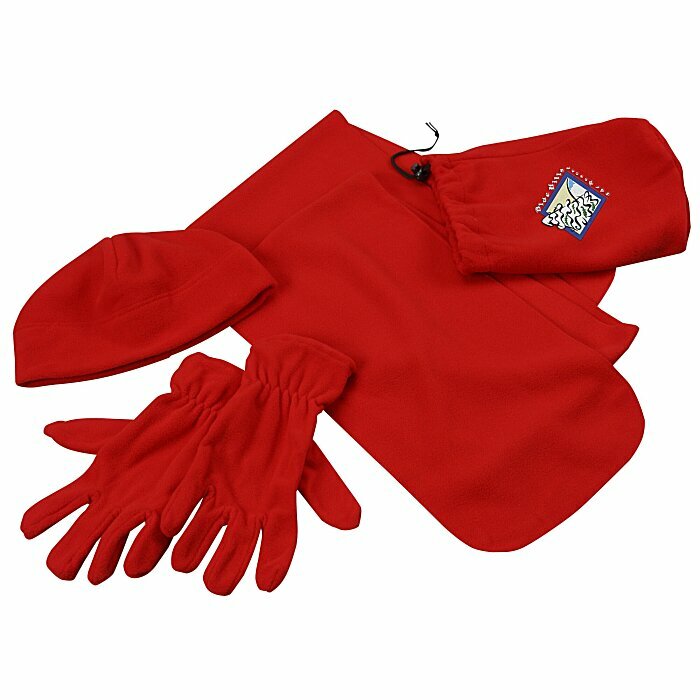 Warm up to this scarf, cap and gloves set in a coordinating bag with black drawstring-closure. Perfect for bed and breakfasts, ice skating rinks and ski resorts. Size, bag (flat): 9" x 12". Your price includes embroidery on the front of the bag.